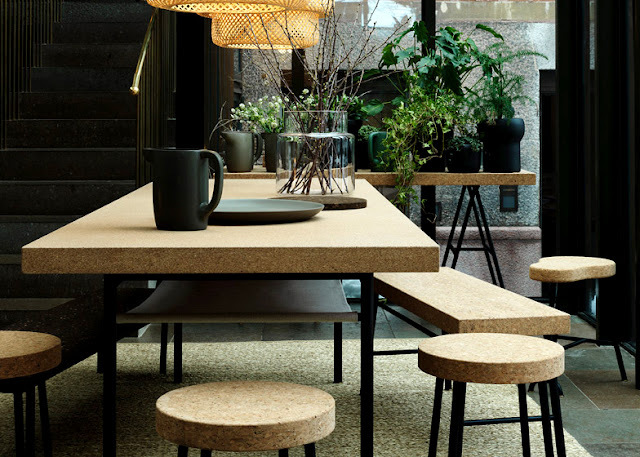 Furniture giant Ikea has collaborated with London designer Ilse Crawford to launch a range of cork and natural-fibre homeware products. 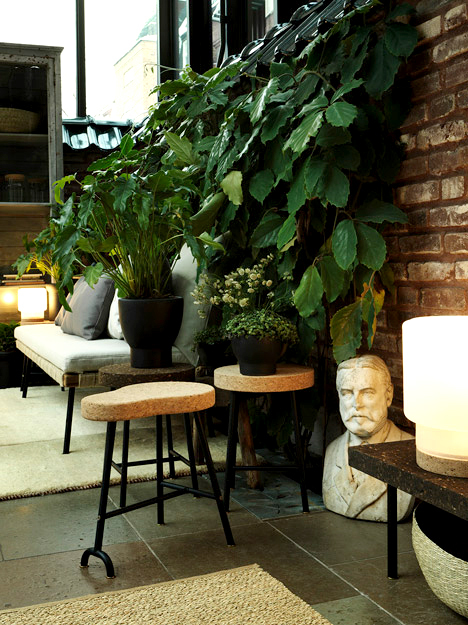 Unveiled during an event at Crawford's Ett Hem hotel in Stockholm yesterday, the Sinnerlig collection heavily features natural materials and neutral colours that were chosen to fit into any home. "It's supposed to work in a bathroom in Mumbai as well as a kitchen in Neasden, it has to fit into people's lives," Crawford told Dezeen. 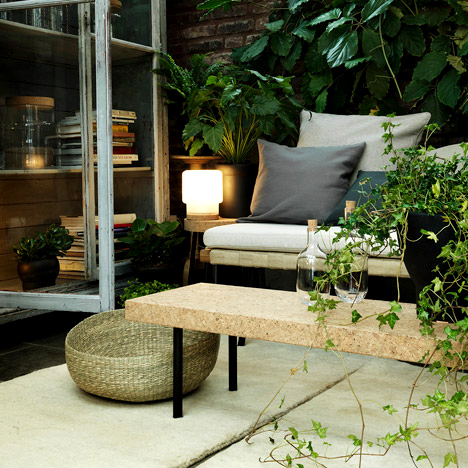 The first collaboration between Ikea and Studioilse contains a range of around 30 products – from larger furniture pieces such as cork-covered tables and a daybed down to hand-blown glass bottles. 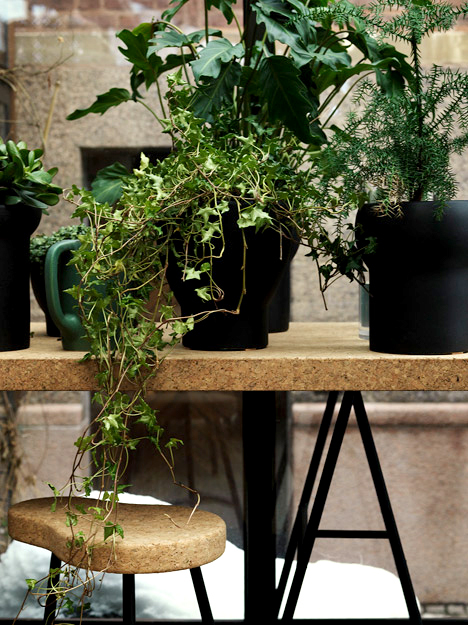 "[Ikea] asked us to work in natural materials, which of course is very appealing to bring the physical quality to our range, which I think they would say themselves is very missing," said Crawford. "I think they know that their surfaces have become quite flat in the push for perfection." For all of the pieces, emphasis is put on material combinations rather than statement shapes. "It is quite low key but we deliberately designed it like that," Crawford continued. "We see it as background, it's not trying to compete with these fantastic icons of design – it's a different thing. But we all need a number of lights that aren't supposed to be waving at you." 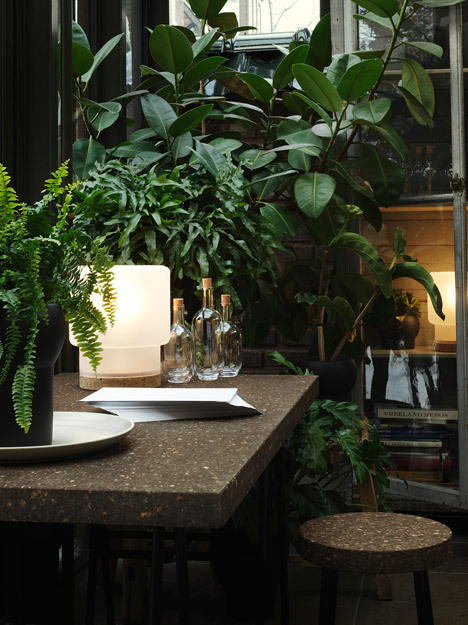 Cork is the predominant material in the collection, used in thin layers to cover table tops and seats as well as thicker sections to form tops for jars and bases for lamps. 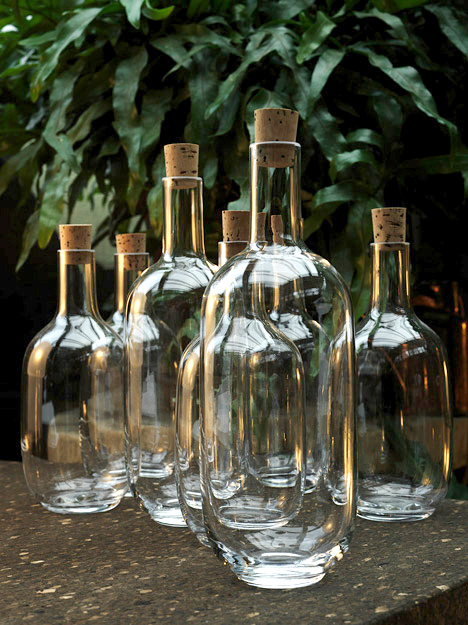 "[Cork] is very much a part of our range, because of its acoustic properties and it works great with glass," said Crawford, who sees this as an important repurposing for the material because "no one wants wine corks any more." 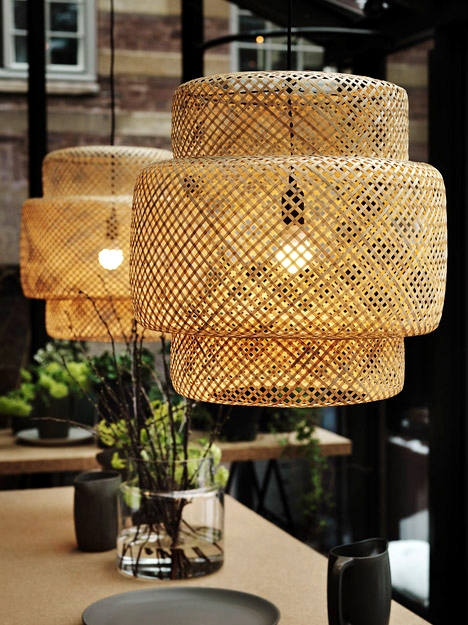 A set of bamboo-lattice pendant lights concertina together to pack and ship more efficiently, a typical element in many Ikea products. 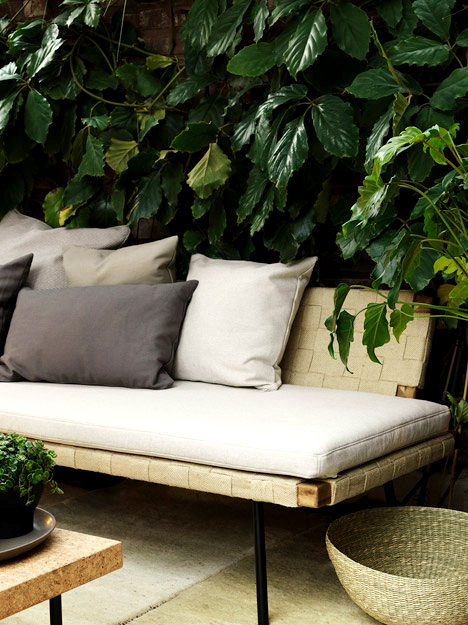 Cushion upholstery in neutral colours is woven from a cotton blend that uses less water in its production. Dried seagrass is used for a variety of products including baskets, again shaped to fit into one another for tight packing. "Ikea doesn't ship air," Crawford said. The collection also includes a variety of ceramic pieces, which are treated to look slightly weathered. 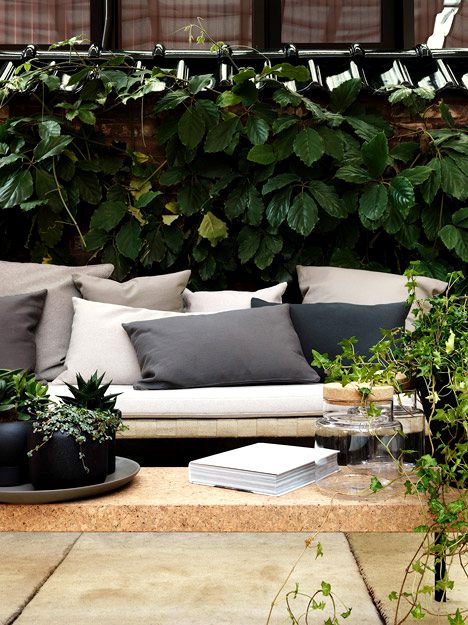 Crawford's team began collaborating with Ikea after the appointment of Marcus Engman as the Swedish company's head of design, who is determined to raise the "design quality" of the brand. "About three years ago they approached us to develop a collection with them, and our first thought was 'yikes! '," Crawford told Dezeen. "It's not a special collection, it's very much a part of Ikea's main line." 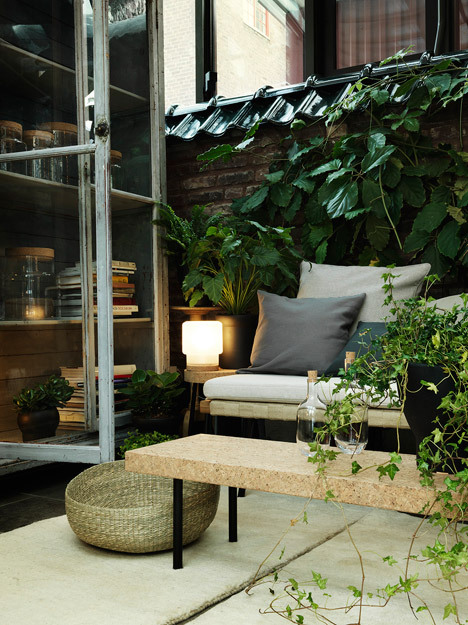 Working closely with the designers and researchers at Ikea, Studioilse was able to tap in to the vast resources available from such a large brand but still keep a focus on the materials and details of the products. "What's very interesting is the idea of working with a company that has a very smart system, a scientific system," Crawford said. "It's been a fascinating project to create design for the many, at the level you can achieve with working for smaller companies."